Do you ever think, "This book has some great ideas!" and then stop there? You put the book away, maybe talk about it with a few friends, and then it's all quickly forgotten. Ideas are great, but they don't do you much good if you don't apply them. 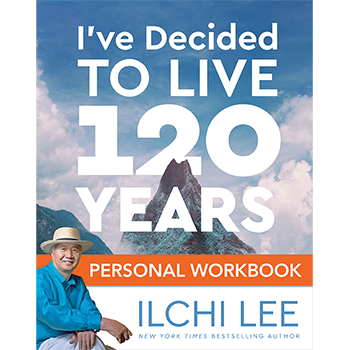 Ilchi Lee's book, I've Decided to Live 120 Years: The Ancient Secret to Longevity, Vitality, and Life Transformation, has been getting more and more attention because it has some really great ideas. It pulls from longevity research, ancient Korean traditions, and Lee’s own experience to give practical yet profound advice on exercise, attitude, and even your life’s value—everything you need to live 120 years with health, happiness, and fulfillment. But Ilchi Lee doesn't want to just share ideas. He wants to help you transform your life. So he created this personal workbook that has questions, meditations, and exercises for each chapter of the original to help you really take in the book's concepts and apply them to your life. As Ilchi Lee says in I've Decided to Live 120 Years, living a long, healthy, and fulfilling life is a matter of choice. Make that choice and get started today. Beautifully designed with a two-color interior and plenty of charts, diagrams, and lined space for writing. ILCHI LEE is a visionary and educator who has helped millions of people globally to expand their true potential. He has penned more than 40 books, including the New York Times bestseller, The Call of Sedona: Journey of the Heart. Lee is the founder of the mind-body practices of Body & Brain Yoga and Brain Education and of the Earth Citizen Movement. Learn more at www.ilchi.com. 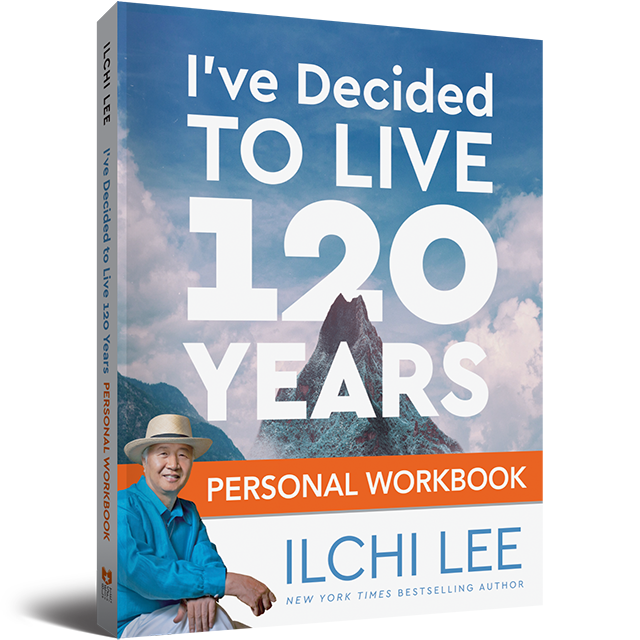 The I've Decided to Live 120 Years Personal Workbook has practical yet profound advice for making your life longer and more rewarding. Author Ilchi Lee helps you apply this advice with reflections, meditations, and exercises.